Choosing the right laptop might be one of the most important decision you will take. Especially, if you are going to use it as your primary computer. What you pick would affect your gaming performance and your experience dramatically, and can be the difference between “just winning” and being victorious. A good gaming experience is defined by various factors. First and foremost is the hardware. How good a GPU and CPU you have? What kind of SSDs are you using? How large is your RAM and VRAM? As a general rule of thumb, for $1000 gaming laptops you should be able to get at least an Intel i5-7300HQ with 8 GB of RAM and a GTX 1050Ti with 4 GB of VRAM is good enough standard at the time of this writing. This combination is powerful enough to play most games at 60 FPS at 1080p. For storage any kind of SSD would do, you don’t have to get the premium NVMe drives. They just have to be large enough to hold your Operating System and game library. However, this is just a rule of thumb. If you have a CPU intensive game, like GTA V or Minecraft then you may want to get a more powerful CPU like i7-7700HQ or better. On the other hand, if you like to mod your open world games like Skyrim to enhance the textures and all then you need to have a larger VRAM and a GTX 1060 at least. Next, for display, we need to know what ask ourselves what kind of games we will be playing on this device. If you are planning on playing just competitive CS: GO then go for a laptop which has a display with lower latency and higher refresh rates. These games don’t tax the hardware too much so it is reasonable to get a laptop with a suitable monitor and relatively weaker specs that will keep the price low. However, if you like to play different kinds of games and just want to have a good time in general, then you may want a laptop with IPS display with as high a resolution as you can afford. A decent standard would be 1920 by 1080 resolution with 94% NTSC color gamut. Last but not the least is ergonomics of the device. Mechanical switches are always better than Chiclet ones but only marginally. If you are under budget constraints, it is always better to go with a regular built-in keyboard and invest in a good gaming mouse. Games are not played using touchpad so get a decent gaming mouse for it. The same rule applies to RGB, if you can get it, then that’s awesome, if you can’t that’s fine too. Never compromise with build quality and trust decent brands so you know that even if you get a defective piece, they will take care of the replacement hassle. For refurbished goods always look for certified resellers. The given price range of $1000 is especially useful for all the factors discussed above because it gives you the best bang for your buck. A couple of hundred dollars below this price you will get devices with spinning hard disks and a generation older GPU which is an order of magnitude worse in performance. On the other hand, if you spend a lot more, say, a $1500 dollars or so then you will start to see diminishing returns on your expenditure. You will have better performance, but the improvements will be unnoticeably small. You might as well spend that to build a better PC workstation, if you don’t have one already. We have curated the following list of laptops which are, each one of them, useful for gamers and tech-enthusiasts with various needs. 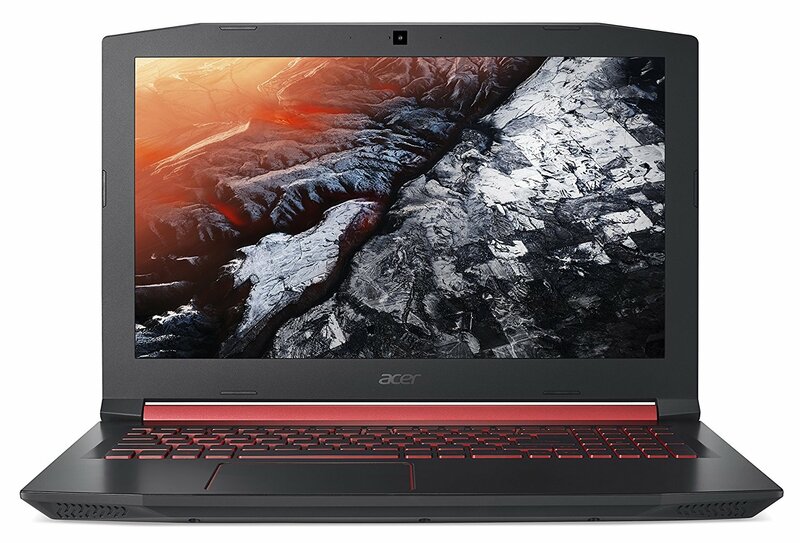 This is pricey little beast from Acer comes available at $1100 and comes packed with all the gaming essential features we have come to love and admire from Acer. Getting straight into the hardware inside, it has an i7-8750H which is a 6-Cores/12-Threads processor clocked at 2.2GHz and can turbo up to 4.1 GHz and comes with 9MB of cache. Next up is the GPU which is a GTX 1060 variant 6GB more than enough to play all games at the native resolution of 1920 × 1080 at high setting. Even the most demanding games like Witcher3 or a GTA V would run at respectable frame rates at high settings no problem. The main memory or RAM on this laptop is 16GB of DDR4 for extensive multitasking. Editing videos and running multiple VMs on Predator Helios is not going to be an issue at all. The next thing to look at is the aesthetics, and we see the Predator lineup’s classic red accents on black throughout the body of the laptop including the keyboard which is backlit. The design is quite premium and would definitely turn heads in any LAN parties you take it to. The next the in terms of both comfort and performance is the dual fan cooling which keeps the keyboard and the surrounding area comfortably cool for you to work. In terms of connectivity, we have a USB 3.0 port and 1 USB 3.1 Gen 1 Type-C connection. There are 2 USB 2.0 ports as well for peripherals like an extra mouse or a keyboard. Also included is an Ethernet port and an HDMI port along with your usual SD card reader slot. The batter-life is reported at 7 hours, although you should not expect it to last anywhere that long while continuous gaming. The laptop weighs 5.95 lbs or 2.7kg which is pretty hefty but, considering the amount of hardware crammed into it, not entirely unexpected. Given the price of little more than $1000, the Helios 300 offers performance closer to that of a desktop build at the same price. Preferable for people who travel a lot and need a future proof and powerful performer, getting the Predator is a no-brainer. This 15.6 inch laptop comes packed with a powerful CPU, ample storage and a design that speaks elegance and comfort at the same time. Priced at $900 it is a real beauty. The CPU inside is a 6-core/12-thread i7-700HQ, a beast amongst the laptop-grade processors. It has 9M of L3 cache and has a base frequency of 2.2 GHz which can turbo up to 4.1 GHz. A full 1.9 GHz of boost. To keep up with all the multiple processes and multi-tasking needs, it has a standard 8GB of DDR4 RAM which can fit a lot of applications at a time, in it. The SSD storage capacity is 256GB which is enough for playing games and storing other files on your computer. However, if you feel like you should need extra space, just adding an extra HDD is possible, thanks to the available 2.5” bracket that comes with its necessary cables. Speaking of which the 15.6 inch display has a 1920 by 1080 resolution and uses IPS technology for better color accuracy and wider viewing angles. There’s also a matte finish on the display making it virtually glare free. Ergonomics are also well thought out on this one, you get an anti-ghosting, n-key rollover keyboard, which means each individual key pressed is registered separately, regardless of the number of keys that are already being held down by the user. The metal body has a brushed metal finish with red accents on black which matches the keyboard’s red back-light giving it a sleek and pleasing look. It is only an inch thick and weighs 5.7 lbs which is a little bulky and cut into the portability of the device. For connectivity we get ample options starting from Wi-Fi 802.11 ac, 2 USB 3.1 (Type-A) ports, a mini-display port, an HDMI 1.4 port and an RJ-45 port for Ethernet connectivity. About $200 dollar cheaper than the Helios 300, this is the next best alternative which offers exactly as powerful CPU horsepower, for productivity and CPU intensive games, and just a little less powerful GPU that would work just fine for 1080p gaming. In case premium priced laptops are just not your thing, you should know that there are plenty of choices available if you are shopping on a budget. One competitive model that should be on your list is the Acer Aspire 7, a new addition from the top manufacturer Acer, known for their high-quality electronics. At first glance, this laptop looks like the love child of the Aspire V15 Nitro Black Edition and the Predator 15, but once you take a look under the hood, the impression may change completely. The Predator visual appearance was quite a hit at its launch, and that is where the Acer Aspire 7 resembles the iconic model. While it demands a significantly lower price than its relative, the new Acer laptop is by no means cheap looking. The matte finish feels luxurious, and the minimalistic design choices only serve it to make a good overall first impression. The black profile is complemented by red highlights; the two streaks on the cover are slightly slanted to give the Aspire 7 more aggressive look. You will also see red when you look at the touchpad border and the fan exhausts. The red lighting for the keyboard completes the picture. The only concession made to the black and red design is the silver toned hinge that is there just to make this laptop look more high-end. The IPS display supports a native resolution of 1,920-by-1,080, and it is similar to what you can see on the MSI GP62MVR Leopard Pro-406. Picture performance is more than decent, with crisp, beautiful colors, although not on par with the MSI GS63VR Stealth Pro 4K-228 which has a 4K display. On top of the screen, you will find a 720p web camera. One look under the hood reveals that the heart of this gaming beast is made by a competitive 2.2GHz – 4.1 GHz Coffee Lake Intel Core i7 – 8750H Six Core processor. The specs include a GTX 1050 Ti graphics card with 4GB of GDDR5 VRAM . It is no wonder that the benchmark tests yield impressive multimedia and graphics benchmark results when the Aspire VX 15 is put to the test. System memory capabilities sit prettily at 16GB DDR4, and the overall performance puts this model on equal footing even better than most midrange gaming laptops. The processor used to power this laptop comes from the same production line as the i7-6700HQ, so it is very similar in specs and performance. However, you should not expect any wonders from this new version of the Kaby Lake’s flagship performer. The same architecture is used and there is only a slight improvement in its iGPU. Clock speeds are a bit higher, but overall output power offers an improvement of just 10%. Speaking of graphics video cards, the Pascal-based GTX 1050 Ti installed on this laptop from Acer does a pretty decent job when put to the test. You can try your luck at playing the graphics-hog AAA title Far Cry 4 and you won’t suffer a glitch when using the native resolution. Responsiveness is top-notch, and the colors are vibrant and beautiful. Nonetheless, do not expect the VX 15 to be on par with the latest models of gaming laptops. This Pascal-based GTX 1050 Ti and GTX 1050 are equal of the older Maxwell based GTX 970M and GTX 965M. That being said, the GTX 1050 Ti and GTX 1050 is just a entry-entry GPU, and the results are not phenomenal. If you are looking for higher FPS and excellent performance, try a laptop equipped with one of the newer GTX 1060, GTX 1070 or GTX 1080 graphics cards. For storage, we get a snappy 128GB M.2 SSD where you can install your operating system and your frequently played games and applications. For bulkier files and applications, as well as, for back up you get a 1 TB HDD too. This is really a sweet spot to get both faster and more responsive experience and also to have plenty of storage for various purposes. The cooling system features two cooling fans on both sides of the chassis that connects via heat pipes to the heat sinks. The tests we’ve made showed that for a GTX 1050 Ti, the temperature is very well maintained in its limits. The cost of the Acer Aspire VX15 justifies the lows in few aspects because it exceeds them in performance. 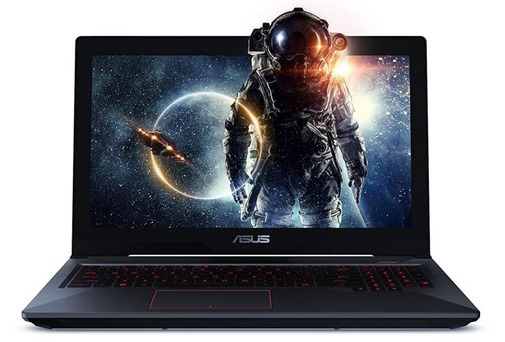 Already ranked as top of the class under $1000 gaming laptop, this idea seems strongly supported, giving you the great option for the money spent. 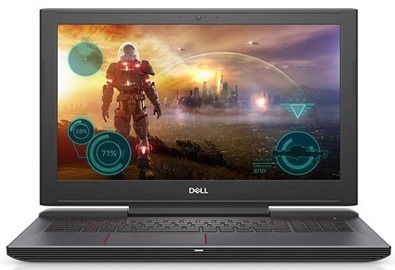 Dell G5 is well priced 15-inch gaming laptop from their new G Laptop series which is powered by the latest 8th Gen Intel i5 processor and NVIDIA GeForce GTX 1060 graphics. 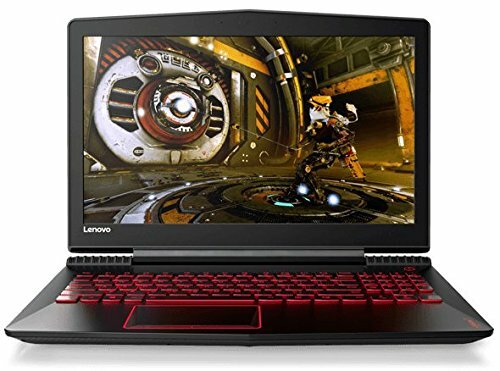 If you looking for a Gaming laptop and you have the budget under $1000 USD, then this laptop is best suitable for you that you can consider. G5 is powered with i5-8300 CPU which has Quad-Cores and can turbo up to 3.9 GHz in single core workloads. G5 comes with 8 GB DDR4 RAM running at 2666 MHz which gives the spectacular performance. The NVIDIA GeForce GTX 1060 graphic Coprocessor power 15.6-inch Full HD 60Hz IPS panel in which you can experience everything on screen with stunning clarity. It is equipped with anti-glare panels to create a wider range of environments. 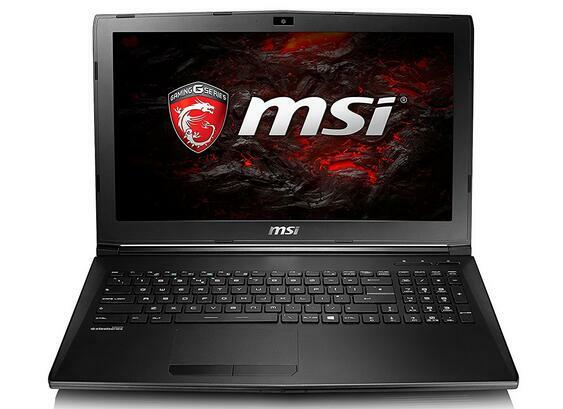 When it comes to gaming laptop, the sound quality is not that good as compared to other available option. G5 comes with 2 speakers and do not have any bass but the quality of the sound is quite clear on high volume. For the network connectivity there’s a gigabit ethernet port which support 802.11ac which considered latest technology and it also comes with Bluetooth version 5.0. 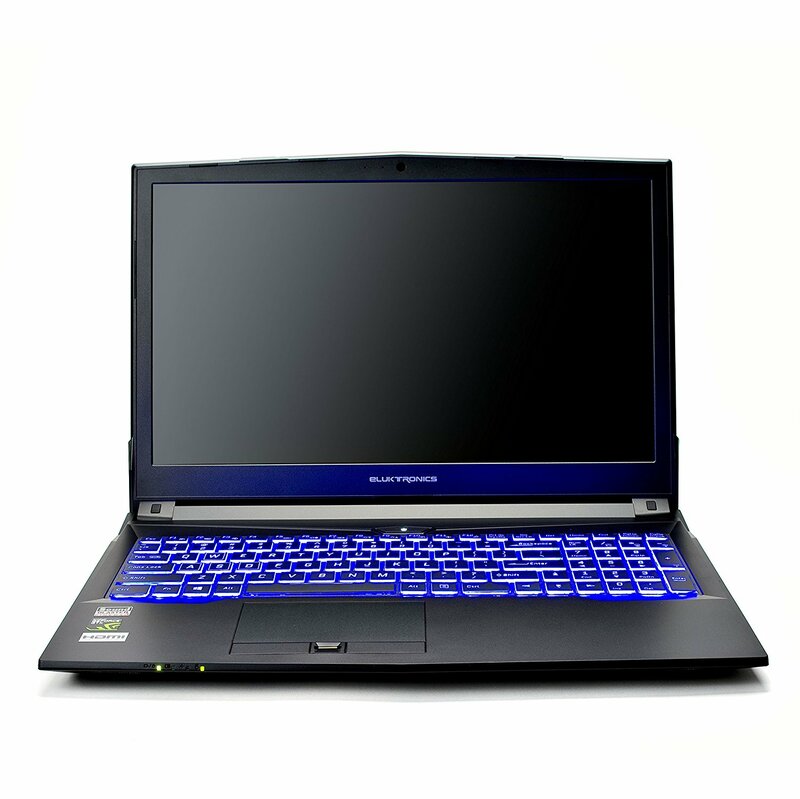 The G5 Laptop is equipped with 4 cell 56-watt hour Lithium-ion batteries which give good battery backup. The G5 battery charge up so fast that you can charge 25% battery in just 15 minutes and take 2 hours and 34 minutes to charge up completely. You can easily get 5 hours of battery backup if you just watching YouTube videos and G5 battery will last 1 and a half hour when you play a game on 30 FPS. The best thing about this laptop is that it has stylish look. The Lid interior and both have matte black aluminum and overall the body of the laptop look nice and solid. The performance of this laptop is quite amazing, you can reach 60 FPS on high setting, you can play almost every game on this laptop. The 8th generation Quad-core processor of G5 Laptop can easily bear the extreme load like a pro. 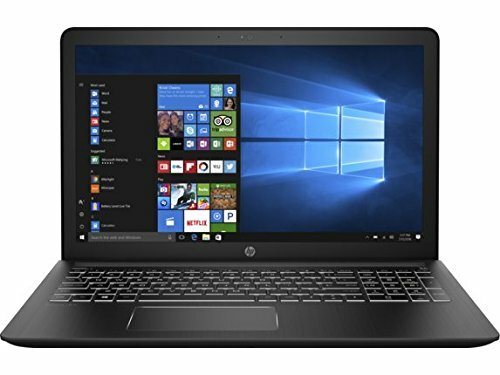 In this price, I think this laptop is pretty good, especially as you are getting 8th Generation Intel Core i5-8300H Processor with NVIDIA GeForce GTX 1060 graphic card. You can play almost every game at 1080p with decent setting. The battery life is quite good and gives good backup when you play game with low setting. The only issue this laptop have is that it does not have good sound quality and mousepad do not have good build quality. ASUS has built a solid reputation for producing outstanding gaming laptops. The TUF FX504GE-ES72 is no exception. It retails at around 1000$ and provides enough gaming power to run most of your favorite PC games like GTA V while getting some work done. The FX504GE-ES72 is made of plastic with a metallic finish on the lid cover; you have red lines adorning the interior and the laptop’s lid. Also, you have the iconic ASUS logo glowing on the top. The laptop comes with ASUS patented Anti-Dust Cooling system which extends durability for your laptop by trapping dust particles and providing cooling for your processor during intense gaming. The first thing you will notice with this laptop is how light (5.07 lbs.) and slim (0.98”) it is. The FX504GE-ES72 comes with Windows 10 pre-installed, and this helps you to maximize your work efficiency while still having fun playing your favorite games. This is backed by the latest 8th generation Intel Core i7 -8750H processor with a memory of 8 GB DDR4 RAM that clocks 2666 MHz. With this, you can multitask watching your favorite Netflix videos, edit some photos, and still download stuff to the 256GB SSD. When it comes to connectivity, the FX504GE-ES72 has taken it a notch higher. It incorporates the latest Gigabit Wave 2 802.11ac WIFI with speeds of up to 1.7 Gbps; you should be able to download your favorite movies within minutes. On the left side of the laptop, you have all the ports necessary for effective file transfer; you have two USB 3.1, one USB 2.0, HDMI for an external display and a Gen 1 Type-A port to connect any gaming peripherals that you may have. The inbuilt microphone is superb when it comes to video conferencing as it blocks out background noise to give you maximum sound clarity. The display screen is a TN 15.6 inches screen with a resolution of 1,920 X 1080 pixels and a refresh rate of 60 Hz. The GTX 1050 Ti 4GB graphics card is ideal for moderate gaming. When it comes to typing the ASUS FX504GE-ES72 comes with backlit keys (with three levels), which illuminate well when you are trying to finish some work at night. ASUS rates the keyboard to have over 20 million-keystroke durability. 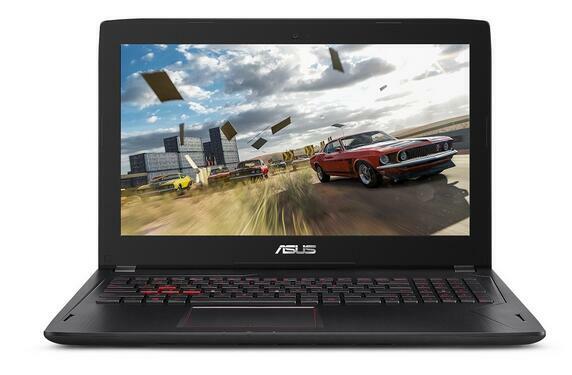 The FX504GE-ES72 falls under The Ultimate Force (TUF) range of gaming laptops by ASUS. These are meant for those gamers in love with the brand but lack the budget for higher end ROG gaming machines. You will find Age of Empires and Gears of war 4 preinstalled with every purchase. 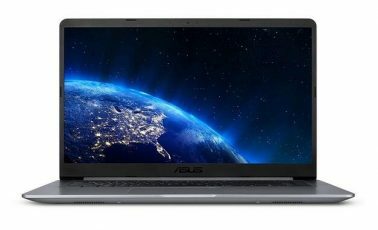 The ASUS FX504GE-ES72 is an excellent laptop for those planning to multitask at work while having some fun playing video games and watching YouTube videos. The keyboard is great for typing and gaming, but the FX504GE-ES72 falls short when it comes to the number of USB ports – just three. 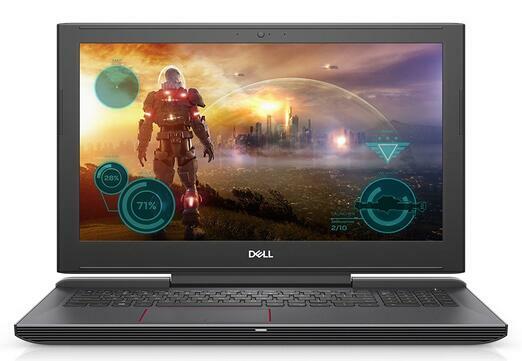 Priced at $920 the Dell Inspiron i7577 caters to gamers more than power-users. It has a much more powerful GPU and just an i5 for the CPU. For the given price point the GPU is insanely over-powered and you can hook up high resolution external monitors without any bottleneck. To get a little more specific, the CPU is an i5-7300HQ with 4-cores/4-threads, 6 M of Cache and a base frequency of 2.50 GHz which can turbo up to 3.50 GHz. This has 90% of the single core performance of a 7700HQ while giving about 75% of the multi-threaded performance of 7700HQ. Quite decent for gaming workloads, mutli-threaded workloads and mutli-tasking. However, CPU intensive games like Train Simulator would tax the system significantly when played at maxed out settings and higher resolutions. The main memory is 8 GB in size which would work optimally for most use-cases as well. The GPU is the most expensive component of this laptop, and is also the most attractive feature of it. The GTX 1060 with 6 GB of VRAM is capable of playing any modern game at maxed-out settings at the native resolution of 1920 by 1080, at 60 FPS or better. The fact they managed to cram in such a beefy processor inside a portable machine itself is mind-blowing, even if you don’t consider the relatively low price of the entire laptop. Storage is similar in configuration as the Asus model we saw just above, that is, we get 128 GB of SSD for faster IOPS and a slower 1 TB HDD for larger applications, media files and archival. Display is an IPS panel spanning 15.6 inches which matte finish and a native resolution of 1920 by 1080. It has decent glare protection and great color accuracy for a laptop display. It weighs 5.76 pounds and is almost an inch thick, quite close in dimensions to the Asus model above and is roughly the same price. Where it differs is in terms of its faster graphics and relatively weaker CPU. Depending on your workload you can pick one over the other. For connectivity we have RJ-45 port, 802.11 ac Wi-Fi, USB 3.1 Type-C, an HDMI and 2 USB 3.0 ports. Especially attractive, if you have an SSD already at hand. This model would offer the most affordable gaming experience and lower budget would only disappoint productivity and content creators, not the gaming enthusiasts. Probably one of the lesser known brands in our list, the Eluktronics N850HK has an optimal specification of CPU and GPU horsepower, with an i7-7700HQ and a GTX 1060, for an optimal 1080p gaming experience. It is priced at $1050. The CPU is of course the same as the one in Asus FX73VE above, that is, a 4-core/8-thread i7-700HQ clocked at 2.8 GHz with turbo-boost up to 3.80 GHz and 6 M of cache. This is as powerful a CPU as you can get, in a laptop, at this price range. Complimenting this is standard 8GB of memory so you can multitask at peace. Now, for storage we get a decent sized 128 GB of full SSD storage for faster IOPS and greater responsiveness. Now that is something different from what we have seen so far. If you do need extra-storage you may have to get an external HDD for that. Personally, I prefer larger SSDs instead of mixing and matching them. Graphics is powered by GTX 1060 with 4GB of DDR4 graphics and that is actually the best bang for your buck that you can get for 1080p gaming. The only place where it would struggle is when it is hooked up to external monitors or when it has anti-aliasing maxed out in games like DOOM. Taking full advantage of this awesome GPU is an equally slick 15.6 inch IPS display with anti-glare coating and 1920 by 1080 native resolution. The keyboard screams “gaming laptop” with its bright customizable RGB colors and above the touch pad you get a fingerprint scanner for added security. The body is black hard-plastic chassis but has a tough build quality and flamboyant design. Connectivity options are a little different on this one, we get 2 mini-display ports, 1 USB 3.1 Type-C, 1 HDMI, 2 USB 3.0 and 1 USB 2.0 an Ethernet port, two different ports for audio (one input and one output), 802.11 ac and Bluetooth 4.2. It weighs 5.6 pounds and it is 1.06 inches thick. The best bang for your buck. This device is both cheap and extremely powerful. Eluktronics, being a new player in this market is trying their best to increase their market share and the opportunists among you can benefit vastly from it. Asus FX502VM comes with an i5-6300HQ, a processor with 4-cores/4-threads and 6M of cache and the base clock is 2.30GHz and can turbo up to 3.20GHz. Seeing that the laptop is priced at $1000 on Amazon, this is a little off putting since its competitors are waving the i7 flag as we have seen for the couple of laptops in the list. However, it is worth noting that this has little to no impact on your gaming performance even if you have some CPU intensive game like Minecraft to run. This particular configuration on Amazon has 16GB of memory so it is suitable for multitasking and other memory hogging workloads as well. The major bottleneck, however, is going to be the 1TB HDD. Upgrading to an M.2 SSD is highly recommended, especially as an OS drive. The next thing to look at is the GPU which a GTX 1060 with 3GB of VRAM and as mentioned before beefy enough to play most of your games at high frame rate and at high settings at the native display of 1080p. Speaking of which the display is 15.6” 1920×1080 panel. The cooling solution again uses dual fans to keep your keyboard comfortably cool and prevent thermal throttling. The build quality is of course premium and the aesthetics are professional with a nice brushed metal finish. This is the differentiating factor of the device along with the comparably light-weight of 4.9lbs or 2.2kg. Lastly the port available are 3 USB 3.0 ports, 1 RJ-45 port, HDMI port, 1 mini-Display port and an SD card reader. Overall, a great device if only you upgrade the storage by adding in an SSD. Priced at $1000 this may seem a bit over-priced. However, considering the additional RAM and the assurance of being an Asus device is well-worth the excess. Asus has been in gaming hardware ever since its genesis and this model would guaranty that you receive that premium experience. Last on our list is what you would call a classic gaming laptop with black hard-plastic body, beautiful red accents, optimal CPU and GPU performance and most importantly a significantly lower price tag as compared to the rest of the laptops on our list. Priced at $750 this is the most budget-friendly gaming laptop out there. The CPU is an i5-7300HQ with 4-cores/4-threads and up to 3.5 GHz of clock speed with 6 M of L3 cache. As already mention, this is the best bang for your buck when it comes to mobile processors and will give you 90% of the single thread performance and 75% of the multi-thread performance of a I7-7700HQ. Complimenting it is an 8GB of DDR4 RAM so pretty much any modern everyday task and a few stressful workloads can be handled pretty well by the system. Next for storage we get 256 GB of SSD which, thanks to its higher IOPS, gives shorter boot times, quicker loading of apps and games and most importantly, for gamer, very short period of that annoying loading screen so you can do what you bought the device for – Continuous, distraction-free gaming. Speaking of which, the GPU holding the responsibility of your gaming experience is a GTX 1050Ti with 4GB of GDDR5 VRAM, which as we already know, can handle any game at medium to high settings at 60 FPS and 1080p. This is the optimal choice for budget gaming, right now. The build is super-slick and attractive thanks to elegant red accents on a hard-plastic black chassis. The noobs would fear and revere you if you show up with a laptop designed like this. The keyboard is also red back-lit to go with red on black theme. Next the display uses IPS technology and is a standard 15.6 inch, 1920 by 1080 resolution panel with matte finish to significantly reduce glare. It weighs 5.51 pounds and is 1.1 inches thick. For connectivity, we get 1 USB Type-C port, 1 USB 3.1 gen-1 Type-A, 1 USB 3.0, 2 USB 2.0 ports, an HDMI 2.0 port, Bluetooth 4.0 and 802.11 ac Wi-Fi. Modern design, fast connectivity and faster processing capabilities. 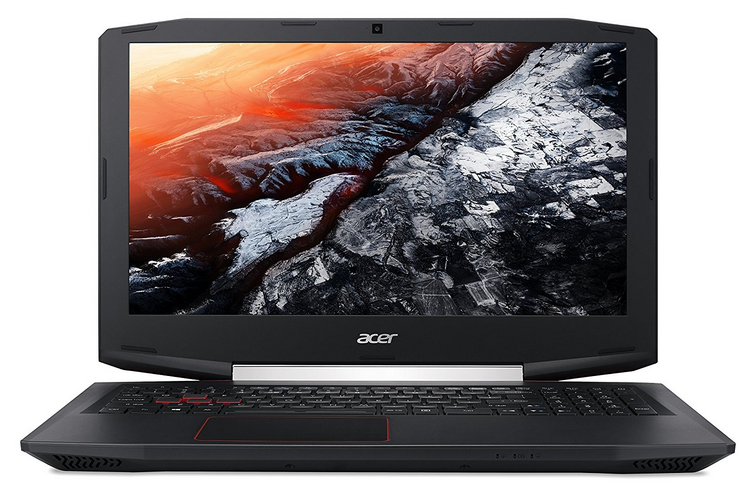 This Acer model is perfect for productivity and content creation at only $800 and that too with a reasonably powerful GPU for an entertaining 1080p gaming experience. The Lenovo Legion Y520 comes with Intel’s i5-7300HQ clocked at 2.50GHz which can turbo up to 3.50GHz and has 4-cores/4-threads. Along with this there’s 8GB of RAM which is something an enthusiast would go with but it sure as hell won’t bottleneck your gaming experience. For storage, there’s a fast 256GB SSD making the overall system much more responsive and applications load quickly if stored on it. 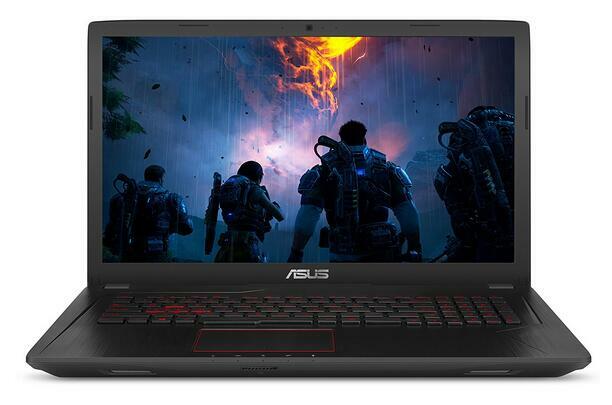 Gaming performance can be credited to the GTX 1050Ti that powers the graphics on this laptop. Nothing to elaborate further about this card as we have already seen it in numerous laptops on our list. It is inexpensive, and you can game on it pretty well especially at 1080p resolution. As it happens, 1920 by 1080 is the native resolution of the Legion Y520 which spans a size of 15.6 inches. The design and build quality is akin to almost all the gaming laptops we have seen thus far, that is black body with red accents on it. Same theme is carried over to the keyboard which is a Chiclet keyboard and is comfortable and ergonomically alright for a laptop. Now coming to the ports, we have 1 USB 2.0 port, 2 USB 3.0 ports and a USB Type-C port available although the implementation is not specified for some reason. There’s also the standard RJ-45 port for Ethernet and an HDMI out port on it. The device weighs 5.28lbs which is not unreasonable for a gaming device. The low RAM and CPU horsepower might bother the content creator but as far as gaming is concerned this configuration can perform respectably. An i5 and a GTX 1050 Ti are one of the most optimal combinations for the budget gaming options with the experience and assurance of Lenovo, the same company that made its ThinkPad the most iconic device of all times. HP Pavilion 15 is pretty identical to the Asus model we first saw except for a few key differences. First it is not aimed for purely gaming, it has a professional make and design to it and secondly it has twice the RAM than any of the models above. Making it perfect for multiple virtual machines, multi-tasking and video editing. Let’s have a look at the CPU first, which is an i7-7700HQ with the same exact specs of 4-cores/8-threads, up to 3.8 GHz of turbo-boost and 6 M of cache that we have seen multiple times above. To make use of this CPU however, you get 16 GB of RAM which is truly superior to the standard 8 GB kit, as you may expect. Various workloads like running multiple VMs, video editing and rendering all can make use of this greater available storage. The storage solution is a disappointing 1 TB of HDD which at the given price point makes no sense, and we insist you to upgrade to an SSD once you do get the laptop. Next for the GPU we see again, the GTX 1050 with 4 GB of VRAM from Nvidia which would work just fine for medium to high settings and only at the native resolutions of 1920 by 1080 which is the native resolution of the display. It is an IPS panel with IPS technology and matte anti-glare coating. So you can work out-doors, get decent color reproduction and better viewing angles for both gaming and productivity’s sake. The body has black sleek design which is not flamboyant but rather professional so you can carry it to your office or college without being too conscious of its looks. The keyboard has white back-light which can appear a little too bright to the eye, when everything else is just dark. It is lighter than average at 4.85 pounds and is only 0.9 inches thick. For connectivity, we get 1 USB 3.1 Type-C, 3 USB 3.1 Gen 1, 1 mini-display port, 1 HDMI out, 1 headphone input-output combo jack, an RJ-45 Ethernet port, Bluetooth 4.2 and 802.11 bgn Wi-Fi. An enormous amount of RAM and a CPU beefy enough to make use of it. This is targeted towards the power-users the developers and the enthusiasts among our readers and, when you are too tired of work, gaming on the GTX 1050 would entertain and refresh you just. It has an i5-7300HQ which is a 4-cores/4-threads processor at 2.8GHz (turbo boosts up to 3.5GHz) with 6M of L3 cache and 8GB of DDR4 RAM. The most influential components, however, are the Nvidia GTX 1050Ti and the 256GB M.2 SSD. At $800, it not only shows MSI’s agility but there utmost concern for gaming community. The CPU is not as powerful as an i7-7700HQ but it can still support most games without being a bottleneck and the investment is done instead on the 1050Ti which is the best bang for the buck for 1080p gaming, although not the best performer. Speaking of which the panel is 15.6” in size with a resolution of1920 by 1080 screen. The cooling again consists of dual fans and vents behind the screen so your keyboard and laptop internals stay cool. However, there is also an additional cooler booster which takes the cooling to the next level but also makes the fans run a little too louder than usual. Ports are abundant for all type of peripheral like 2 USB 3.0, 1 Type-C, 1 USB 2.0, a mini-display port and an HDMI port. Also available are the 802.11 ac and Bluetooth 4.1 technology, which is fairly obvious to expect. The keyboard is from steelseries, and although it is not a mechanical keyboard it will get the job done without any complains. At 2.4kg or 5.3 pounds this is a heavy laptop but considering the amount of hardware it packs, this is understandable. However, it is your perfect companion for LAN parties and gaming events with a decent gaming performance. The attention to detail in usability and gaming experience is well-known from MSI. What takes this device to the next level is the all the MSI goodness combined with decent cooling so your hardware works at its best when you need it to. And all of this at only under $800 is pretty well-priced too! So if you are looking for a gaming laptop with a budget of $1000 these are some of your best options out there. From here, the question comes down to you and the type of workload or games you want to run on your laptop. People wanting to play Doom or GTA V can surely use an i7-7700HQ with a GTX 1060 in there. However, content creators and develops with workloads like video editing and running multiple VMs would require greater RAM and faster processors. Even in games, different genres have different requirements. Minecraft sole depends on your CPU, its number of cores (up to 4 cores) and its clock speed. On the other hand, most other games like fast paced FPS and the MMO games depend largely on the GPU. If you are new to the whole PC gaming community, sticking to GTX 1050Ti would get the job done for you. Lastly, the most repulsive bottleneck to any system’s performance is the storage and the speed at which you can read and write data to and fro from it. Getting a system with just an HDD would almost always mean that you need an SSD upgrade and that is going to cost you an extra $80 and the hassle of installation. We hope that the list above clarifies what the market has to offer and how to evaluate the best option when you go out to buy one of these. Yes, on Amazon its real, it’s a big discount, recommend! First, I loved the reviews of all of these laptops, great guide. But while doing my own research, I’ve found that the Dell Inspiron 7559 actually has a 2.5 inch, 1 TB hard drive. I just wanted to keep you updated. Thanks again! I was wrong, I was looking at a different model, that was almost exactly similar. Sorry for the confusion. Hey, do you think this would be a good alternative? (http://www.amazon.com/gp/product/B01578ZK9A/ref=as_li_ss_tl?ie=UTF8&camp=1789&creative=390957&creativeASIN=B01578ZK9A&linkCode=as2&tag=tabletpcnow-20) I wanted the same specs as ASUS ROG GL552VW-DH71 but with bigger screen. Please reply. Just want to let you know that I bought ASUS ROG G751JT-WH71(WX) instead. This guide really helped me a lot. Thanks! ASUS ROG GL552VW DH71 comes with DDR4 RAM not DDR3 RAM. Have you checked out Lenovo P50? It’s not a gaming laptop per se since it has Quadro graphics but it’s extremely powerful.